One of the biggest needs that businesses struggle with is how to attract, influence, and sell on social media. Since social media is such an important tool from branding and marketing, good social media managers are in high demand. A social media manager’s responsibilities include writing and scheduling posts, creating content, answering customer questions, managing ads, and more. Corporate social media managers make between $34,432 to $56,571 annually. As a for-hire social media manager, you can be more competitive with your prices or even charge more if you can deliver results. If you have a knack for designing website, then a web design business may be an option for you. The difference between a d web developer and web designer is that web designers are responsible for the design of the visual layout of websites. Developers are more on the back-end of websites making sure the code is clean and the site is functional. One of the major challenges to overcome as a web designer is pricing. There is a lot of competition for web design so you will have to choose whether you are going to charge by the hour or by the project. The good news is that you can vary your pricing strategy depending on the client. Tutoring can make a good startup business for teachers and anyone passionate about helping people. Tutors provide supplementary instruction in a range of topics. You do not need to have a degree in teaching or any other training to be a tutor. The startup costs are also low, and you can teach in a client’s house or your home or another location like the library. Tutors earn between $10 to $75% per hour based on the areas of study and the level they instruct. People generally desire to improve various aspects of their lives. This market opportunity is what life coaches tap into. Life coaching involves helping people to make significant improvements in areas such as relationships and careers. There are several courses available for life coaches. Coaches generally exhibit strong interpersonal skills as the business heavily relies on interactions with people. 1 billion people use the Instagram app every month. Of these users, a huge chunk of them are trying to grow their brands and following. Instagram coaches charge $150 an hour just for consulting. As a consultant, you will be tasked with expanding a company’s or an influencer’s brand. An Instagram coach will typically improve the aesthetics of their client and advise them on which photos and videos to post. Facebook is a popular social marketing platform with a vibrating advertising scene. Running ads for clients is quite viable as a business idea as more and more companies are pushing their marketing efforts online. The first step you should make is to single out the particular clients you want to work with and organize meetings. As your agency grows in clients’ numbers, ensure you are constantly learning to keep up with the Facebook algorithm. 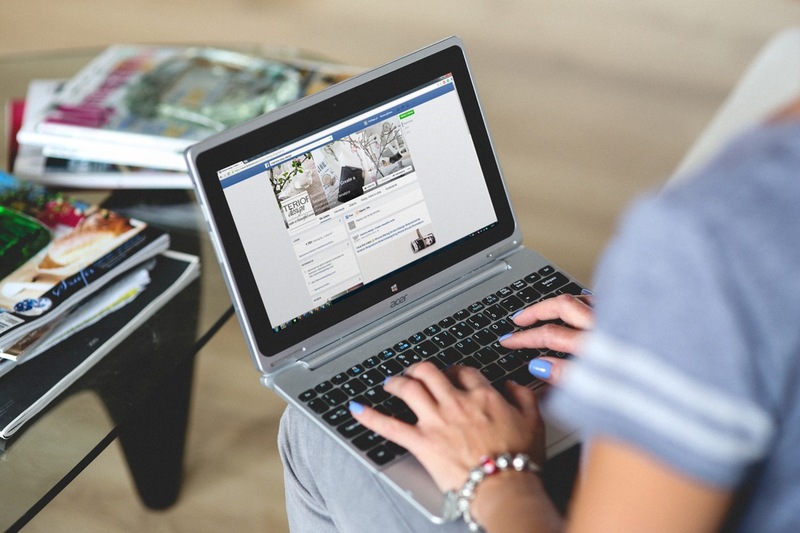 Here are more skills you need to run Facebook Ads. Amazon has thousands of resellers, but there is still room for more. Reselling is a simple concept where people buy from retailers and subsequently sell the products on online avenues. Amazon is a vast marketplace, and some businesspeople have struck gold in it. Take this Minneapolis native, for example, who has made millions from reselling items from Walmart. As a reseller, aim to sell quality products that will satisfy your customers. Virtual assistants execute various tasks for their online clients. Some of these tasks include sending and responding to emails, conducting research for blog content, posting and editing blog posts, and updating social media. Virtual assistants that charge per hour are paid between $15 to $100. Full-time assistants can even make six figures. You can increase rates as you broaden your portfolio. One perk in this business is the flexibility to work from anywhere. Flexible schedules also make virtual assistant an attractive business. Google receives the most search traffic of all search engines. A business will, therefore, find it tasking to track the specific customers they want to attract. A Google ad specialist will use ads as baits to lure in target customers. A Google ad specialist should be skilled enough to direct a substantial number of highly-motivated customers to their clients. You will need to pass two assessments given by Google to become certified as a Google ad specialist. Online learning was valued at $165 billion in 2015 by the research firm GM in 2015, and this value is projected to increase to over $250 billion in 2023. The market is therefore quite big. You only need a profitable idea and a course outline. There are numerous software solutions that make it easy for you to get your course well outlined. Once you set a price, you are all set for the launch. If you are passionate about animals, you should monetize on this affection. There are several online pet-sitting resources that you can use to get started in this business including Rover. Pet sitters can take home as much as $2,000 every month. Your income as a pet sitter will depend on the level of effort and time you invest in the business. The Etsy website prides in selling vintage, handmade, and custom products. Over 33 million buyers converge on the site to buy things they may not otherwise get in other stores. This is an especially good platform for selling unique crafts that are designed by you. All you need to do to become an eBay reseller is to open an auction account which can be customized. You can opt to focus on one stock or sell a combination of products. eBay resellers are always on the lookout for wholesale goods they can sell to make profits. You can even check flea markets and garage sales for different products. Do you have a passion for writing? Freelance content writing may be the business for you. This business has low overheads, and in most online platforms, you can get started for free. Additionally, you get to have a flexible schedule and exposure to different niches. There is a variety of writing jobs available ranging from ghostwriting, copywriting, and web content. A video spokesperson can be described as a website actor. They communicate a company’s brand online in an engaging and attractive way. A spokesperson’s job is to gather an audience’s interest as quickly as possible and encourage them to explore a service or a product further. More and more companies are using the services of a spokesperson which is why you should consider this business. Most of the photographers who shoot weddings opt to be freelance. This business will need a level of experience, and you can choose to back up a more established photographer before venturing on your own. The median projected pay for wedding photographers is $62,135 annually. Top rated photographers make over $77,833, and there is no limit to the amount you can generate as a freelance wedding photographer. A special occasion photographer is involved in projects such as birthday parties, baby showers, and baby announcements, christenings, and product launches. To start, you can do a couple of free events to launch your portfolio. Your rates will increase as your experience expands. There are thousands of Uber and Lyft drivers that serve millions of users. You need to fulfill several requirements to be a certified Uber driver including being at least 21 years. Lyft similarly demands some thresholds from their drivers. There is more market in the cities than in the suburbs, and you thus stand to make more in large cities with a substantial population. Building an app may seem overwhelming, but it only needs practice and effort. With the success of such applications as YouTube, Snapchat, and Instagram, every company is eager to launch the next groundbreaking app. Developers are in massive demand, and those in the Android platform have an average salary of $97.6K. The monthly earning potential as an Air BnB host stands at $607, and all you have to do is sign up your house for free. The platform charges a flat fee of 3% for every reservation which is among the lowest in the industry as described in the website. The site boasts of 800K average stays every night across the world which is a viable market to start your hosting business. People are always looking to learn how to use a musical instrument, and your knowledge may help jumpstart your music lessons business. You can teach an individual or even a group, and you will have to tailor your instruction to meet the level of skills of your students. You can opt to charge per hour or lesson. If you love to bake cookies, cupcakes, or any other sweets, you may be able to launch your own business selling baked goods. In the past, to sell baked items would require a potential entrepreneur to open up a bakery. These days, anyone can begin selling goods online to friends, family, and strangers using visual platforms such as Instagram and Pinterest. Traackr, an influencer management platform, reported that 72% of major brands are investing a substantial part of their advertising budgets to influencers. Influencers are disrupting traditional methods of marketing by having an effect on the purchasing habits of their followers. Some Influencers have reported made as much as $10,000 per post or video if they have millions of followers. To get into this business, you will need to cultivate a recognizable brand and a sizeable online following. Auto detailers clean the interiors and exteriors of automobiles. The job description can require simple tasks to more complex ones including steaming and deodorizing interiors. The higher the quality your business can offer, the more you will charge for these services. Upgraded services, for example, can be charged for over $175. Giving lawn care services requires no formal training, and it can be learned on the job. Since your clients need their lawns maintained continuously, the business will be stable. This enterprise is also quite scalable as it can evolve into other services like weeding, gardening, and trimming. The potential earning ranges between $5,000 and $50,000 in the initial year. More established lawn care businesses can earn as much as $250,000 annually. Most event planners begin working from home, and this can help minimize overhead expenditures. You will need to decide whether you will focus on the social market or the corporate scene. This business requires personality traits such as creativity and negotiation and the ability to deliver under pressure. No formal training is needed. 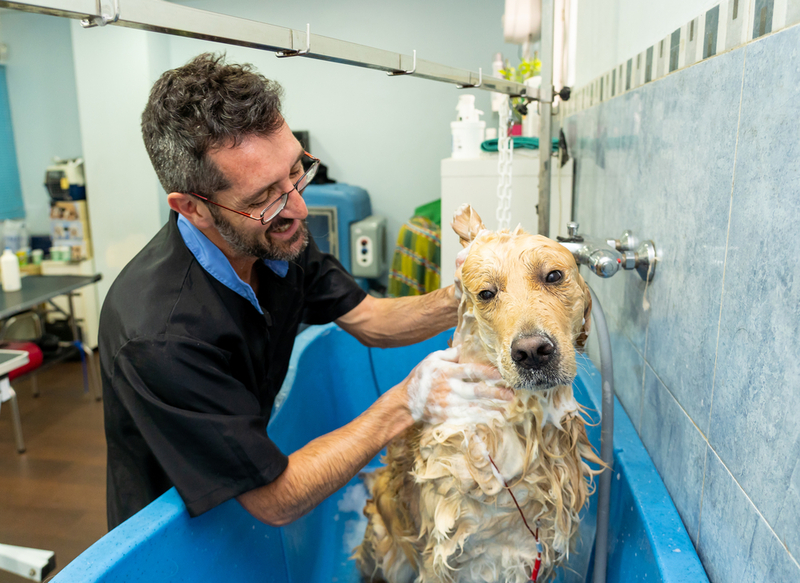 Most pet owners lack the ability and time to groom their pets and are on the lookout for reliable professionals. The 10% top rated animal care workers, including pet groomers, make more than $36,000 a year while the lowest 10% make below $18,000. The industry has attractive potential. The U.S. Bureau of Statistics estimates that the number of jobs in the animal care industry will increase by 20% between 2016 to 2026. People mistakenly assume that you need to be wealthy or famous to start a clothing line. Clothing label founders like this are however building their brands from scratch. You will need to identify a viable need in the market to serve. The most important criteria to consider in this business are niche, brand, design, and quality. These elements come in handy in differentiating your product from the rest in the saturated sector. You should also be confident in working with a small team since it will grow together with your brand. The startup costs for a bike delivery business are well under $2,000, and the business can be a part-time venture. Ensure you have a courier license if it is necessary for your local area. To begin, you can accept the same rates the motorized couriers charge for small parcel delivery and make more profits. The business can also be easily operated using a mobile phone. As the business grows, you should invest in a central dispatch system to manage more bike couriers. The car sitting in your driveway could make you a lot of passive income. Numerous companies have established themselves as reliable matchmakers of car owners and car renters including Drivy and Car and Away in the UK and CheapTickets in the US. Your online pitch in these platforms will display the vehicle details, location, price, and availability. Most of these platforms require renters to purchase large insurance policies, even in excess of $500,000 prior to renting your car. Any damage to your vehicle will be fixed with a deductible from these insurance policies. As an office cleaner, you will be tasked with cleaning offices and other business areas after working hours. The cleaning contract will list these jobs which will encompass vacuuming, surface and window cleaning, and restroom cleaning. You can run an office cleaning venture from your house after you receive your permits and insurance. You will also need to purchase various cleaning supplies including a transport cart, cleaning chemicals, towels, trash bags, and a vacuum. A marketing campaign, even if done on a small-scale, will help you get more clients. WordPress plugins have been one of the aspects that have catapulted the platform to dominant status in the blogging market. You can create a plugin that solves a specific need for WordPress users and sell it on your site or at CodeCanyon. Your plugins should address a particular problem to make it appealing. One of the most successful plugins is All in one SEO Pack with over 12 million downloads. The plugin’s developer is Michael Torbert, who has also developed a premium version of the free plugin for $79. Plugin developers can thus make thousands from one plugin. The internet has exposed a host of earning opportunities for people. Take this blogger for example who makes more than $100,000 every month from her blog. Affiliate marketing, advertising, and selling courses are among the ways of generating revenue through blogging. Most blogging platforms are free, and you are at liberty to choose your particular niche. As a blogger, you will have to build and maintain engagement so that you can maximize the monetization efforts. A vlog is a social media account or even a personal website which an individual or group uses to post short videos. YouTube is the most popular website with vloggers since it is used by millions of people every day. A vlog is a great business idea for people interested in filmmaking and videography and those who enjoy curating engaging content. The earning potential in YouTube is limitless. Take this list for example, where the top vloggers earn over $10 million from their respective platforms. The beauty of vlogging is that there are numerous niches you can choose to focus on like gaming, make-up, comedy, and photography. Podcasts are blogs available in an mp3 form which can be downloaded on computers and phones. Podcasts can be entertaining or educational, and many people are listening to them for personal development. Even more exciting, you can start a podcast with less than $100. You will need to come up with your podcast’s artwork and name and decide on the theme you will be creating your content around. There are many podcast hosting platforms like Podbean and Libsyn. Personal training is an incredibly lucrative training as more and more people are adopting healthy lifestyles. You can get started in the sector with a high school diploma and train for a short time or on the job. The median pay in 2017 stood at $18.85 an hour. As your business grows, you can diversify to online workout subscriptions, boot camps, and selling membership models. A nutrition business is ideal for people who, in addition to helping others, are enthusiastic about the health and wellness industry. You will be tasked with helping people reach their health goals. Depending on the state your practice will be in, you will require relevant training and licensing. Nutritionists can make as much as $76,400 every year. A business consultant assists clients in problem-solving, planning, and strategy and helps them to develop relevant skills. You only need to harness your particular gift which may be in public relations, marketing, IT, accounting, taxes, and insurance. You should, however, check if your particular chosen skill needs certification or a license. For your business to succeed, stay on top of all the trends in your specific profession. In this era, child care services are a necessity especially among working parents and single-parent families. Do you love caring for children? You can turn this passion into a business with a few hundred dollars. You can start running a home-based operation and invest in it to the point of earning millions of dollars yearly. Your startup checklist should include things like licensing, insurance, health, safety, and children programs like outlined here. A tax preparation business caters to the tax concerns of individuals and groups. You will have to navigate through the local, state, and federal tax systems and file returns for your clients. You will greatly benefit from taking a professional course. The business is at its most intense from January to mid-April. During tax season, you will have to meet the deadlines of the tax agencies. Your charges will depend on the complexity as well as the time you will spend preparing and filing the returns. Domain names are sold for hundreds of dollars every day. Large domain name purchases involve millions of dollars like the 2009 sale of Insure.com for $16 million. Once you launch your business, you should build a high-quality domain registry. You can anticipate the domains that will become popular, or you can buy high-profile domains and bet on them appreciating. The names can be geographical, generic, or business. A food truck may look like a simple business idea, but it may catapult you to unimaginable wealth. This entrepreneur established a million-dollar food chain from a taco food truck. To avoid getting overwhelmed, begin selling food products that you are familiar with. You will foot minimal overheads with a food truck, and you will, therefore, raise your initial investment in a short time. A food truck can also adapt to any space making it incredibly flexible. You can make money with drones by offering a range of services. You can sell aerial footage and photos to institutions such as golf courses and beach resorts or online. To start, find local landscapes and grow your customers and credibility by sharing your portfolio. You can even post your footage on YouTube and seek partnerships. 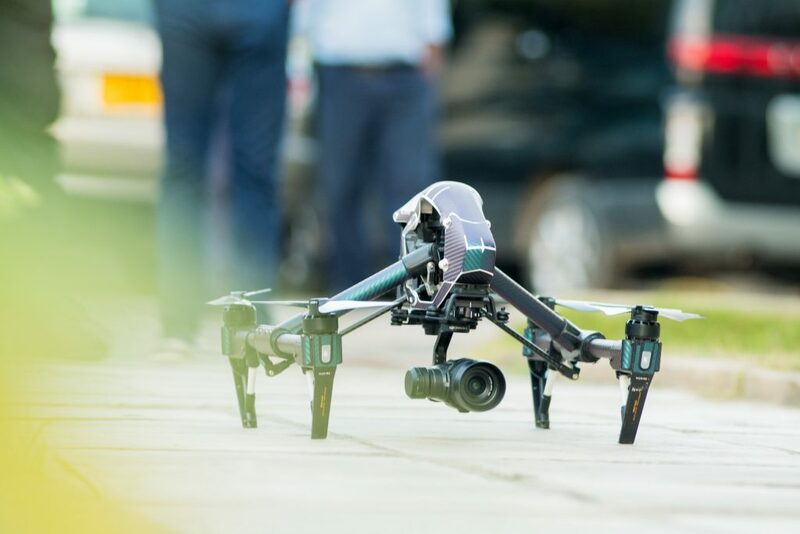 Aerial surveying services is another money-making venture for people with drones. Drones have also become essential in wedding photography. You can never miscalculate with investing in your passion, and it’s about time you cashed in on your yummy treats. A home-based baking enterprise will be easier to launch since you already have a kitchen set up. A health inspector may visit your baking premises to check safety standards. The internet is flooding with baking success stories. This British mum began displaying her baking creations in school sales before going online. Your selling point should be the uniqueness of your baking products. Gluten-free stuff, for example, will attract its own market. About 77% of older Americans would like to receive care in their homes. A home caregiver assists seniors with things like light housework, doctor visits, showering and dressing, and transportation needs. Startups in this industry typically charge approximately $15/hour in the first year which increases according to experience and references. To start, scour the internet for the specific interests you will offer. These interests can be printed on a brochure and distributed to places like church and community bulletin boards and social workers. You can get the business up and running with less than $100. Unlike janitorial cleaning which is often done by large companies, residential cleaning requires less capital and labor. You can even do the cleaning yourself. The key strategy in this field is customization where you should be keen on the specific needs of every client. A consistent uniform, word of mouth marketing, and attention to detail will go along way in making your small cleaning business profitable. You can further put down your logo and brand on paper. People with the technical skills to fix different components of a computer are a hot commodity in the tech market. But the skills are not enough, and you need to approach the opportunity with a business mindset which means having a business plan, marketing the business, and getting certified. You can work from home, at clients’ sites, or a retail storefront. A little research on the amounts other repair shops in your locality are charging will guide your rates. Making jewelry is as lucrative as it is glamorous. The global marketplace has never been more receptive to brands from all over the world. This Australian entrepreneur grew her jewelry designing venture from local infancy, to international spotlight. The first step is to mold a brand that people will want to be associated with. Trends such as eco-friendly pieces and retro-vintage products are some of the current opportunities. You stand to make a lot of income as a self-employed home inspector. You will undergo training, and once you obtain your license, you are set to go. Home inspectors in the US earn an average salary of $58,000 based on figures from the Bureau of Labor Statistics. You will receive about $450 per inspection with an earning potential of $91,000 every year. Making a living as a DJ is quite doable. Some DJs like Calvin Harris regularly attract multi-million contracts. This industry requires more than talent, however, and you will need to polish your self-promotion and networking skills. Once you get the necessary equipment, work on mastering your techniques. You can use such platforms as Facebook to post your mixes and attract fans. A substantial following will help you get gigs and repeat bookings after that. Car reselling can not only become a side-hustle but a lucrative business as well. To get started, you will have to become a master at identifying good and bad deals. You will have more luck selling ordinary cars in the lower price ranges instead of highly-priced cars. Although exotic vehicles are more profitable, they have few customers. You can use online platforms like craigslist to buy cars directly from users. You can also rent lots or advertise cars on bulletin boards. The credit repair specialist field requires no specific licensing or requirements making it ideal for startups. A professional organization can, however, assist you in getting the certifications to empower you in cleaning up your clients’ credit reports. You will be tasked with presenting a range of options to handle negative points on the reports of your clients. Such options include paying off, disputing, and settling. A graphic designers’ roles have expanded the last several years. Many businesses not only need logos and branding, they need social media and website graphics. Because of this, graphic designers are still very much in high demand. 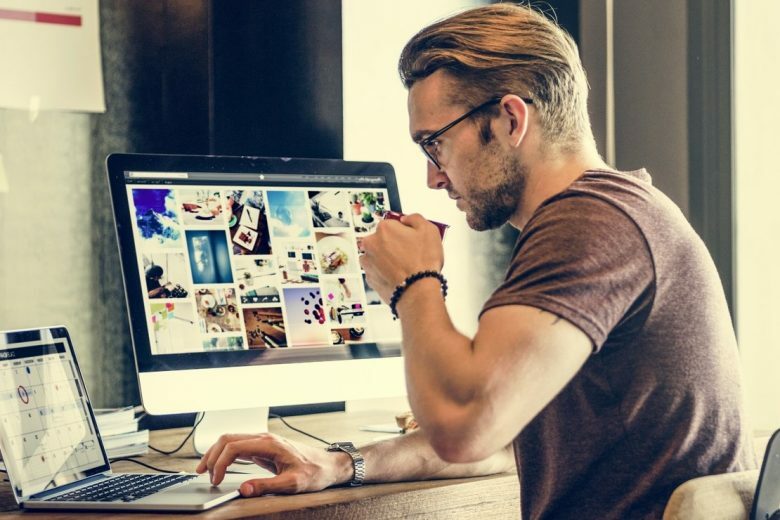 If you have an artistic eye and can learn to use programs such as Adobe Illustrator, Gimp, Photoshop and other software, you may want to consider starting a graphic design business. The average salary for a freelance graphic designer is around $50,028 annually. Financial budgeting is an excellent venture for people who love budgeting and personal finances. You will also need to research the best practices in the industry and acquire a level of certification. Software programs such as reporting software and a client relationship management system will further make you more efficient and reliable. There are little barriers to entry in the painting business. You only need business registration, a website, insurance, and equipment as detailed here. The Department of Labor estimates that painters earn an average median income of $37, 960 annually. Most of these painters have a high school diploma, and they learn through apprenticeship programs run by established professionals. You can build a coaching business around your love for athleticism. The number of athletes participating in triathlons has been growing significantly over the years, and this is a beneficial platform especially for people interested in multisport. Triathletes are continually looking for quality coaching, and their median incomes are pegged at $126,000. These statistics and more interesting data are compiled atwww.teamusa.org. Athletes have taken the search for coaches online, and you, therefore, need to establish a digital presence. Once the firm is running, you will need to look for new athletes constantly. A career coach provides professional insight to people to help them grow their careers. There are many qualified individuals in the job market than ever before while jobs are scarce. Most career coaches charge by the hour, and they offer individual as well as organizational services. The costs to start this business can amount to thousands of dollars including insurance, certification, networking, and marketing expenditures as outlined here. Career coaches are mostly notable leaders in their own business communities. This foundation not only encourages trust from your clients but also provides a networking pool to get your business started. Most people associated concierges with hotels but the professionals can execute a range of tasks for individuals and corporates. You should first identify your potential clients and what services they would be interested in. Busy career people, for example, would have a range of errands they want to be assisted with such as shopping. You would benefit from having a service location although some personal clients would require you to work in their residential spaces. To stay on top of the concierge business, you should attend conferences and workshops and transfer the skills to your team as well. 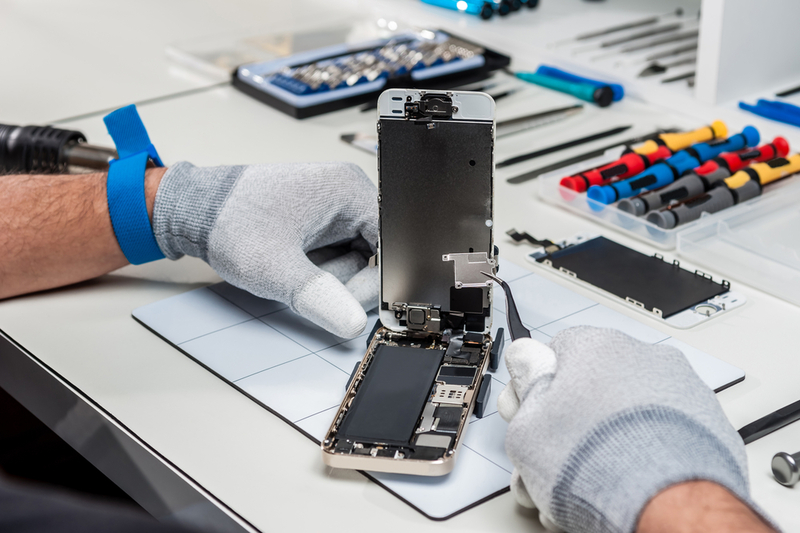 Technicians who specialize in cell phone repair average $11.35 per hour. One of the most vital factors in this job is skilled technicians. Ensure you have a sustainable balance of junior and senior employees. You should also train the junior staff as quickly as possible so that the tasks that they can handle continuously expand. Research on vendors in your locality for affordable and quality spare parts. You can also opt to get these products online. Adding other products and services will attract more customers. The median wage for software developers stood at $101,790 in 2017. The top software developers make over $120,000 annually. The BLS further estimates that the software development industry will grow by around 31% by 2026 with over 250,000 added jobs. Software development is, therefore, one of the most lucrative and viable enterprises that you can invest in. As the focus shifts to the internet, a couple of software are being purchased for billions of money. Facebook for example shelled out $19 billion in 2014 to acquire the app WhatsApp. The company was attracted to the app’s user base which stood at 450 million at the time of purchase. Most companies struggle with creating steady web traffic that will captivate and retain customers. To start, it is important that you differentiate yourself with other companies offering SEO services. This is the point where you will rely on your particular skills to define your niche. Clients will further have varying needs. While others will need a little assistance with their content game plan, others will require you to direct all activities in relation to their content strategy. It is essential that you develop a range of services for each budget. When it comes to having a team, you have the option of utilizing freelancers or hiring in-house staff. Content editors are tasked with evaluating web content to ensure that it is optimized for various internet platforms. As a content editor, you need to value research as you will have to need lots of it in many subjects. You should also keep with the SEO practices so that the work of your client garners good rankings. In the age of blogs and websites, individuals and companies need to make sure that their web content is the best that it can be. You can turn your love for videography into a full-time business. There are multiple videography services that you can offer including sports, documentaries, weddings, acting/modeling portfolios, and corporate training resources. Videography is a creative industry, and you need to seek a wealth of fresh insight regularly. Ensure that you document these pursuits as they will serve as your inspiration directory. There are avenues where you can sell your stock footage including Shutterstock. The buyers mostly look for videos featuring landscapes, people, and buildings. The current popularity of vloggers could also be a blessing to your business as vloggers need high-quality videos. Video editing is a business that can let you work from home and manage a small team. You do not need expensive equipment, and you can make do with a powerful laptop that can hold a lot of editing software. To get started, you can work on a few projects with more established businesses. It helps if these colleagues have a substantial following on social media so that you get potential referrals. These projects will come in handy when you need to display your portfolio for clients. You also need to invest in reliable storage for the clients’ files. Unlike physical stores, e-commerce businesses can be created with just a few clicks. You, however, need to be clear about what products you will offer and the niche you will focus on. Acquiring knowledge about search engines is crucial for a web-based company, and you need to market to your potential market extensively. Resume writing is not as known as other forms of writing but it can be a viable business idea. These women for example generate over $45k from resume writing endeavors. You need to obtain certification and to learn more strategies, you can join organizations like the National Resume Writers’ Association and the Professional Association of Resume Writers and Career Coaches. There is a ready market of local, national, and international clients. Your business can also benefit from attendance to events and networking programs. Maximize on your social media platforms to attract clients as well. Motivational speaking is a form of public speaking that relies on compelling and inspiring deliverance. The amount of pay depends on skill, reputation, experience, and background. Travel is often needed. There are no set requirements for these professionals, but a proven track record in your area of study will go a long way in encouraging clients to hire you. Some reports state that motivational speakers have a median yearly salary of $107,173, and the highest earners take home over $300,000 every year. You should look-out for speaking engagement opportunities in television studios, convention centers, community centers, schools, churches, festivals, and radio stations. Travel bloggers/vloggers seem to have a glamorous life of constant travel and engagement in interesting activities. Take this blogger for example who earns a six-figure income every year on his quest to travel all of the world’s countries. Being successful in this field, however, requires work and focus. Innovation is equally important as the audience is looking for outstanding content. As your business booms, you will need to seek the services of various professionals such as video and audio editors, SEO experts, and photographers. Quality is everything in this industry, and you need to invest in your blogging/vlogging platform regularly. Club promoting is an excellent venture for people who are passionate about nighttime business. These professionals earn an average of $25,000 yearly but can make more due to the endless opportunities available. The first step is to gain experience which can be achieved through working for an established promotion company. A network will help you win a foot in the door, so talk to club owners, DJs, producers, and marketing materials vendors. Social media profiles are essential to reach out to your audience, and you need to have an impressive brand on platforms like Facebook and Twitter. Music production is hugely lucrative. Music producers help artists to achieve their artistic goals. Some modern producers do not even work with artists. Instead, they develop their own music by the use of digital software like Fruity Loops. The income varies on the artists a producer collaborates with and the kind of music that they create. Some producers double as artists, and this further adds to their overall revenue. The Bureau of Labor and Statistics accounts that salaried music producers earn $55,000 on yearly average . Some producers find it more lucrative to earn on royalty-basis. Songs can generate millions in revenue which means that the producer involved will have a handsome return. To start a white label supplement business, you need to identify an in-demand product. Not all supplements will turn out to be lucrative, and that is why you need to be keen on the needs of the customers. After evaluating your target market and competition, you will proceed to formulate a viable and useful product. A supplement manufacturer is a crucial team player in the business, and you need to develop a relationship with them. Ensure your manufacturer is reliable, compliant, and affordable. Do you want to profit from your interest in automobile repair? Starting a mobile mechanic business may be just the solution for you. The vehicle repair business is sustainable because new cars are released on a daily basis. You can decide to specialize in one of the numerous niche ideas available in this field as listed here. Customers will judge your competitiveness by your capability in repair, pricing, and accessibility. The market already features many mobile mechanic businesses, so you need to focus on getting your customers. 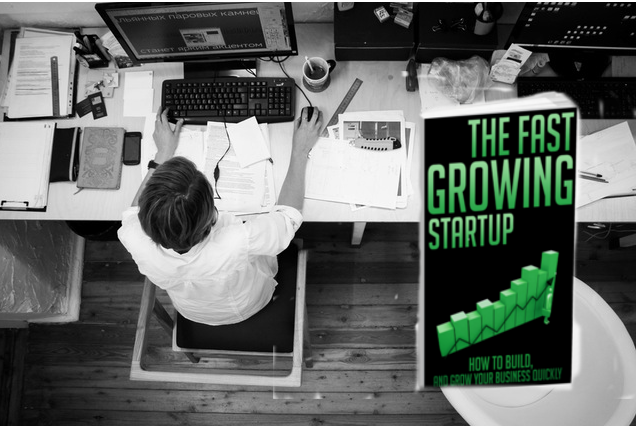 You can choose to focus on households as well as startup businesses. Depending on the State or City where you are based, you may need to get a license. Training can help jumpstart your venture, and you will need to keep practicing to perfect your art. The specializations in this field include commercial, forensic, institutional, and mobile locksmiths. You will need various tools, and you should research the available equipment that you can purchase. Seek out other locksmiths in your area for advice on areas like organizational structure. The business will subsequently need network and advertisement. Weddings are a beloved social activity, and for wedding planners, the events are big business. In the US, more than 80 billion is spent every year to fund over two million weddings. This money has catapulted a lot of wedding planners into wealth. The highly experienced planners take home six figures, and you need to develop patience as a novice wedding planner and grow your business organically. To supplement your income, you can stock a variety of wedding merchandise to rent out to clients. As a planner, you will be privy to the new trends, and you can use this opportunity to make yourself a supplier as well. Moving companies help people and companies move their belongings and operations. You can start locally if you do not have a lot of capital and buy/rent a van instead of big trucks. Relocation businesses need legal authorization that varies from state to state. Your initial inventory will require things like moving dollies and pads, furniture belts, wrapping materials, and ropes. These basics will help you look professional. Renting the items, in addition to a moving truck, will set you back a little under $200. Moving and transportation insurance is necessary for this line of business. A T-shirt company is a relatively easy business to launch. You need to determine your niche and design as well as the quality of both the printing and the t-shirts. A printer/drop shipping partner is vital to your business which is why you should expose yourself to numerous options to get the very best in shipping pricing, print pricing, and t-shirt quality. You can get t-shirt mock-up templates on the internet both free and premium. The above steps will help you develop a lucrative business as this entrepreneur did. To launch a sandwich shop successfully, you need to have enough capital to cover the initial food stock, equipment, and payroll. Location is perhaps the most critical criteria in the success of restaurants. Spaces in a prime-spot in urban and suburban areas can be a bit pricey. A sandwich shop needs adequate spaces for food preparation as well as for customers to sit. You will also need to locate the best suppliers for such food items as cheeses, vegetables, beverages, and meats. Your staff should be adequately trained to serve customers and work efficiently. If you enjoy cooking for others, a catering business might be the enterprise for you. 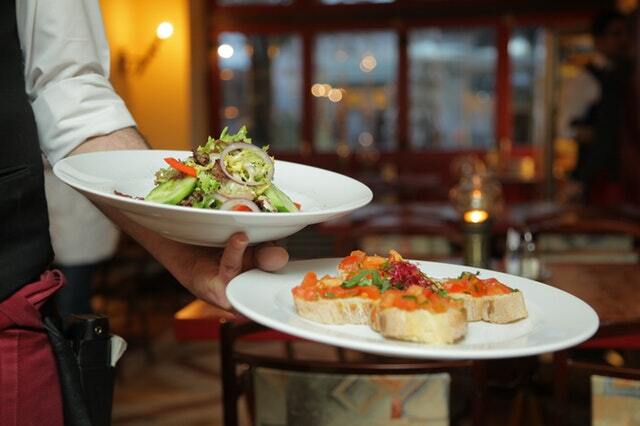 A catering business can make you between $30,000 to $80,000 a year, depending on whether it’s full-time or part-time. Entreprenuer.com estimates that you can use anywhere from $10,000 to $50,000 to get started in catering. To begin, it is a good idea to focus on small catering events so that you can improve your practices. A catering business opens you to many clients as your potential customers are the ones consuming your food in various events. This company will, however, need to meet the health and licensing requirements of its home state or city. Snow plowing services are engaged to remove snow from personal homes and commercial spaces. You can opt to get paid for every session or be contracted for the winter season. In addition to a driving license, business owners can also get accreditation and training from organizations like the Accredited Snow Contractors Association. The startup costs run into the thousands for the purchase of a truck, salt sprayer, snow blower, plow, and salt. To reduce these costs, you can get a second-hand truck. To beat the competition, you can offer additional services like salting and shoveling. Make-up artistry is an excellent business idea for people excited about the beauty industry. As a mobile make-up artist, you will travel from client and client and set your rates as your brand grows. You will be a step ahead if you seek some form of training and certification. The most important item in the work of a mobile makeup artist is their professional kit which contains a range of skincare products. The top-rated products do not come cheap, but they will build an excellent reputation for your company in the long-run. A handyman business is ideal for people with some manual skills. To avoid getting overwhelmed, start with the services you are good at and grow from there. You also need to evaluate the contractor laws in your state so that you know which services require a contractor license. Handymen earn an average of $17.88 per hour, and they may make more income from overtime . If the business is running efficiently, however, you can charge as much as $100 per hour like this entrepreneur here. Writing has gone digital, and it is a perfect time to turn your passion for writing into a business. Write about the things you know most and the niche where you have the most experience. Choosing a catchy title will grab the attention of the readers. The cover page should also be eye-catching, and you can use one of the numerous online platforms for design. The next step is writing a description for your book, where you talk directly to your target readers and promise to solve a problem for them. The most consuming part about ebooks is publicizing and advertising. You can, for example, send a copy to a popular blogger for a review. Internet marketing is all the rage right now as more and more business take their operations online. Internet marketers employ online marketing strategies to help their clients promote their goods and services. The scope of their job includes email marketing, SEO, social media promotion, and pay per click advertising. According to Payscale, internet marketers have a median income of $46,638 which is quite attractive. You can charge between $20 to $100 per hour or even more depending on your experience and the services. As an internet marketing specialist, you can give your services virtually and can, therefore, work from any location. Many online business offer affiliate programs. You will get a unique link when you sign up which you can use when you write about their products. Affiliate marketers link buyers and sellers and get a commission upon completion of a sale. Trying to promote many products may diversify your efforts too much. Instead, look for a few unique products which are profitable and which have a vast market. Affiliate marketing requires traffic, and so you should attract a lot of visitors on your site and place ads on other sites with high engagement. This marketer describes the profitable core practices of an affiliate marketer. Homeowners hire a house sitter for the peace of mind of having an individual look after their possessions. Others want house sitters to feed their pets, collect their mail, and water their plants. Pay typically varies between $25 to $50 a day. You can charge more if you live in the house or you also look after pets. House sitting is a relatively cost-effective startup as you only need to meet transport expenditures between clients’ homes. Managing house-sitters for your business is a bit challenging since you need to ensure you are bringing in reliable and honest workers. Fiverr is an internet marketplace which lets freelancers display their portfolios and attract clients. The list of gigs you can place on this platform are endless, and they cover marketing, administrative support, writing, web design, software development, and design. Establishing a personal brand earlier on will go along way in making your presence stand out on the marketplace. You should also get the app to keep up with buyer requests on the site. More tips to earn big on Fiverr are outlined here. Voice-overs are a solid way of earning a living, provided you arm yourself with the necessary knowledge and tools. If you do not have a home studio, you can pay for time in recording studios until you earn enough to set up yours. To get started, aim to make several demos that you can send to clients to demonstrate your skills. Voice actors can choose to earn per job or per project. For a 30 or 60 second commercial, you can charge around $250 while an audiobook can generate about $3000 per book. To get started in selling stock images, visit several stock photography platforms. You should factor in a couple of factors before selecting an avenue including the target audience, ease of success, pricing, ease of looking for imagery, loading speeds, and ease of uploading. Some of the microstock websites include Shutterstock, Fotolia, and istockphoto. Your chosen site should at least offer a commission rate of 40%. Stock imaging is a quality-reliant venture; therefore, your photos should be fundamentally good. Invest in quality photography tools and also ensure you are uploading the things that customers are interested in. People love to eat out, that is why there are so many restaurants each with their own customers. Restaurants are an expensive startup with the median startup cost pegged at $250,000. Your salary as the owner will most likely not make you rich when you are getting started, and you will make about $36,000 to $72,414 in the first to the fourth year of operation . Renting and renovation a restaurant space can prove expensive with square costs per foot clocking in as much as $52 in Los Angeles. You can expect to spend more money on equipment, payroll, insurance, legal fees, and marketing as explained here. Carpet cleaning businesses generally charge 30 cents for every square foot with the aim of generating $80 to $100 per hour. The industry has enterprises that clean carpets, rugs, and upholstery for residential as well as commercial clients. The customers for your carpet cleaning firm can include retailers, restaurants, churches, and warehouses. To launch your services, buy the necessary supplies, insurance, and equipment and you are good to go. Dog walking is a viable business for people who spend a lot of time around dogs. Walking dogs is not as easy as it may seem as you have to build relationships with both the clients and their pets. Dog walkers generally charge from $15 to $25 a day. The industry is dependent on reputation, and you need to invest in networks. If you do it right, your firm may become as profitable as this dog lover did. There are a couple of websites that can support your start as a local tour guide. This business is excellent for people who are adventurous and would like to show tourists the different attractions in their hometown. Websites that you can review include Vayable, Shiroube, and ToursByLocals. Tour guides typically earn from $50 to $150 per day and experienced guides can make anywhere between $30,000 to $60,000 annually. Many people are looking to learn how to code, and your knowledge may earn you a substantial income. If you are not yet confident about your teaching skills, you can start as a TA first and grow from there. An online course can be lucrative for your business, and you can put it up on websites such as Udemy. Subscription boxes can be used to satisfy numerous needs, from clothes, candles, beauty products, and electronics. Subscriptions boxes can make you money too if you are not afraid of implementing your ideas. You will need to first decide on what you are going to sell and where the market is. As for the products, you can stock them yourself or partner with companies. You can opt to ship using a third-party firm or ship them yourself. Some companies ship the boxes straight from your partner as well. The retail life insurance sector is highly competitive, and over 90% of new agents leave in the first year. To succeed, you will need to be patient and focused. Life insurance offers the largest commissions in the insurance field since it often provides 100% or even more of the premium. Your business will need legal approval, and you will be required to sit licensing classes to evaluate your knowledge in the relevant guidelines and laws. When hiring staff, opt for individuals with prior insurance experience to reduce training costs. Companies hire bookkeeping businesses to manage their revenues and income, process payrolls and handle their tax concerns. A couple of organizations can certify you as a bookkeeper including the National Association of Certified Public Bookkeepers and the American Institute of Professional Bookkeepers. Your business will need bookkeeping/accounting software like QuickBooks. The startup costs for this business can be fairly low if you are working from home and not leasing a working space. Data entry is a fit business for proficient typists with a keen eye for detail. Many companies deal with some form of raw manual data which will give your business a broad target market. The minimal costs of this enterprise can make it easy to launch it on your home. You just require fast internet and database software like Microsoft Excel and QuickBooks. You do not need any certifications although some clients would be more inclined to hire you if you have some sort of training. Logo designers typically have a creative flair and an eye for captivating designs. In addition to formal credentials, you need to familiarize yourself with graphic design software including Adobe Illustrator. The average median salary for logo designers is about $47,000. A strong portfolio will make it easy to convince clients to hire you, and you also need to craft a personal brand. You also need to polish your networking skills and get consistent referrals. TaskRabbit is an online mobile avenue for everyday tasks and services. The services you can offer on the platform range from home repairs, moving, cleaning, handywork, delivery shopping, and events. You will negotiate the different parameters of a particular job with a seller, and the company takes 15% of the agreed hourly charge. You need to perform your tasks satisfactorily so that you get positive reviews from your clients. Atmosphere can affect people’s well-being and moods. But when it comes to organizing their home, home office, garage, attic or basement, most people don’t know where to start. If you have a knack or organizing and decluttering, becoming a professional organizer my be for you. The average rate for professional organizers is approximately $25/hr. Reputation and trust are key when you’re running a professional organizer business so it is best to go out of your way to make sure your clients are 100% satisfied with your work. Are there any other businesses we missed? Let us know in the comments and don’t forget to share this with friends and colleagues.